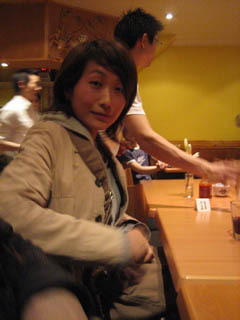 Many friends came here from Japan and go back to Japan, it's a natural thing. 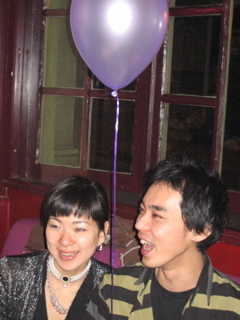 Of course we'll meet again when I back to Japan, but I can't help feeling lonely. 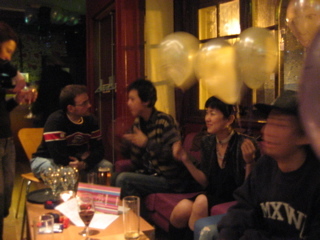 Last Saturday, I went to Brixton to join a farewell party that was for Oni and Akino. 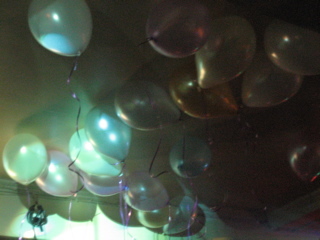 We enjoyed there with talking and drinking. 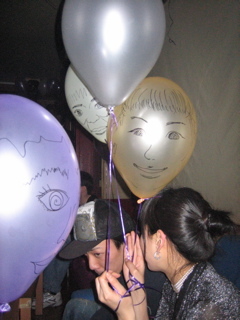 We found many balloons on our heads, we enjoyed to drawing Oni and Akino's face on this balloons. 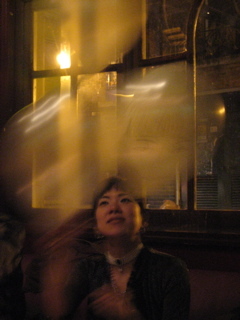 This is Toshimi and Nukesaku balloon. She is hot! 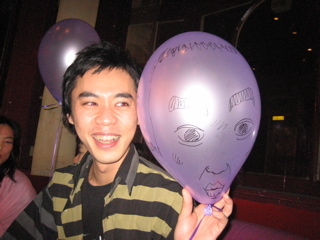 This is my drawing Oni balloon, It's very nice isn't it? 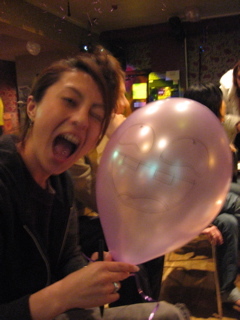 I and Oni are discussing about collaboration now, it's very exciting! Please be looking forward to watch our performance. 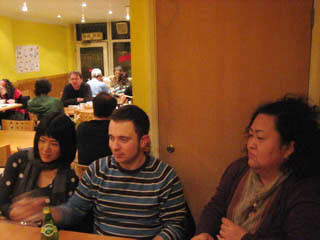 Next day, I and Nahomi met our friend Coo and her friends at Vietnam restaurant in Shoreditch. I feel time is streaming different speed people by people. Sometime my time is very fast, sometime it's seems very slowly like stopping.